The frame that is the foundation of the chassis is constructed on tube steel cut to exacting dimensions per the Chassis Plans that were developed by North American Exotic Replica Cars. The frame work includes a structural fiberglass consol that provides added rigidity to the design. 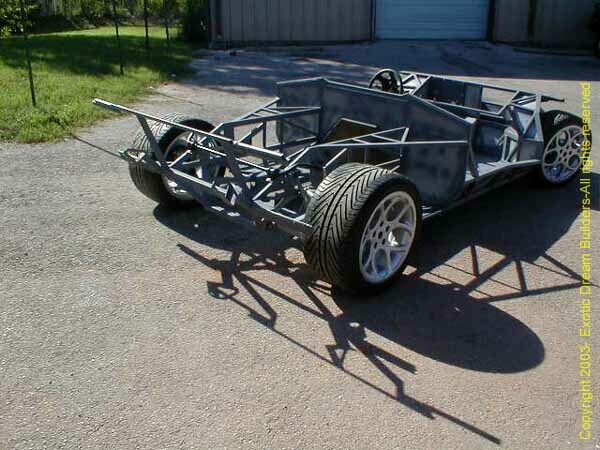 Please click on the picture below to see how the chassis was constructed.